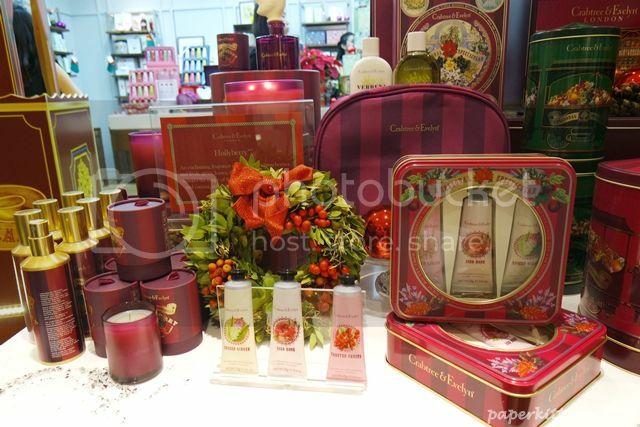 No one celebrates the happiest season of all better than Crabtree & Evelyn! 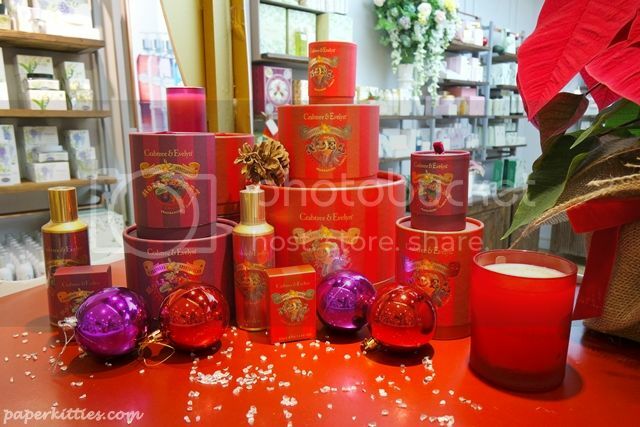 A one-stop shop with a wide assortment of Christmas gifts consisting of Fine Foods, Gift Collection and Home Fragrances all beautifully and lovingly packaged… let me take you into a visual sneak peek on what Crabtree & Evelyn has to offer this Christmas! 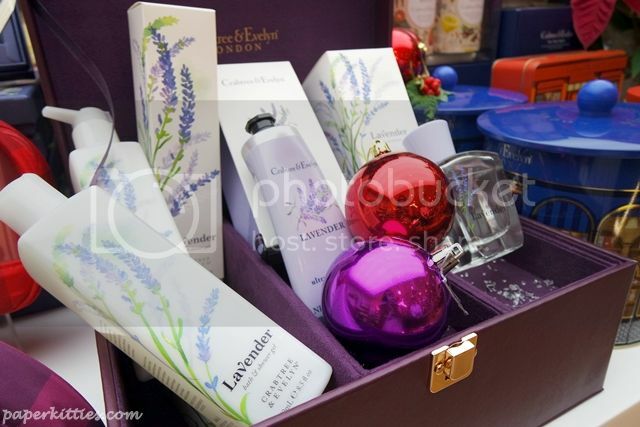 Gift collections are also available for the individual signature scents alongside perfumes, rich lotions, soaps.. there were many value-for-money collections like the Lavender Traveller SGD$38 which also comes in Rosewater, Caribbean Island Wild Flowers, La Source, Jojoba Oil. Be prepared to feel really spoilt for choice as you venture from one signature range to another. 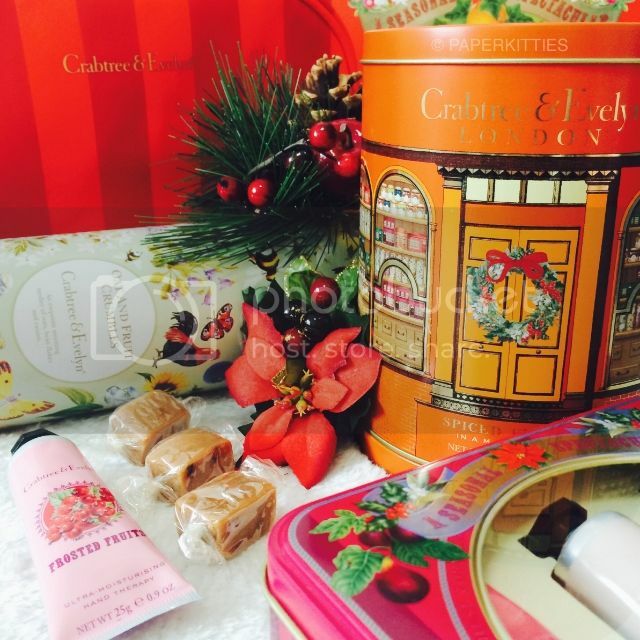 Now, the highlight of this year’s Crabtree & Evelyn Christmas 2014 is the limited edition Noel range – a perennial favorite of an irresistible blend of bresh balsams, persimmon and citrus fused with spicy star anise, clove and nutmeg. 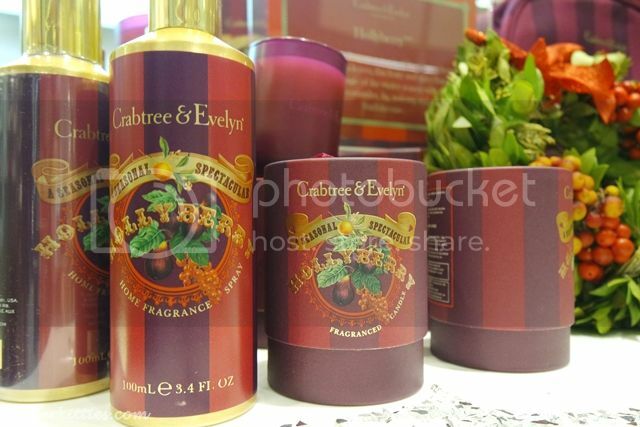 This is a classic Crabtree & Evelyn Christmas collection that never fails to make one feel warm and welcomed. 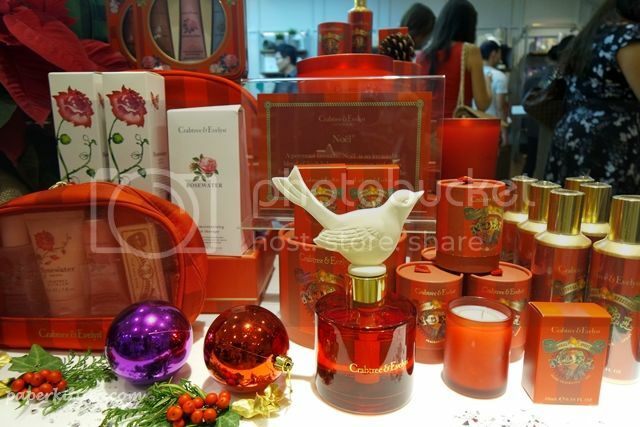 What caught my eye has to be the Home Fragrance Diffuser SGD$98 with a gorgeous ceramic dove; it definitely felt every bit Christmas-sy as it should be! Available in two scents (Noel and Hollyberry), this is no doubt the star of the season! 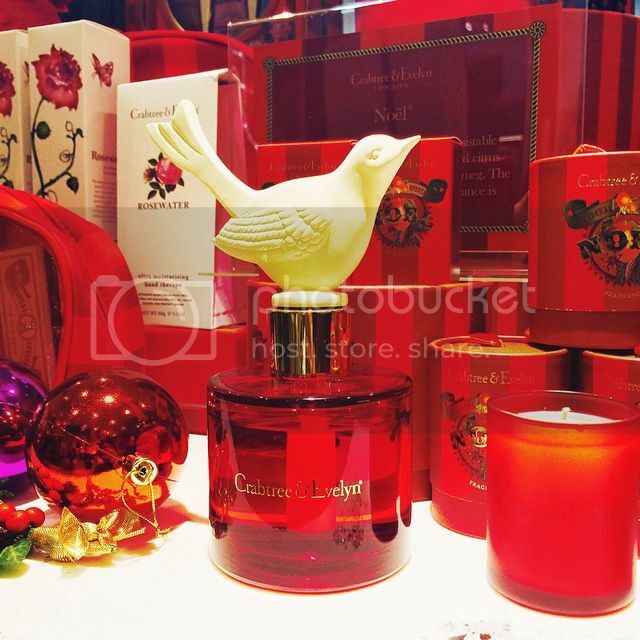 Hollyberry is new to the Christmas collection. This enchanting fruity spicy fragrance is inspired by crimson berries and fresh green leaves, with notes of red currant, coriander, fig, nutmeg and frankincense. 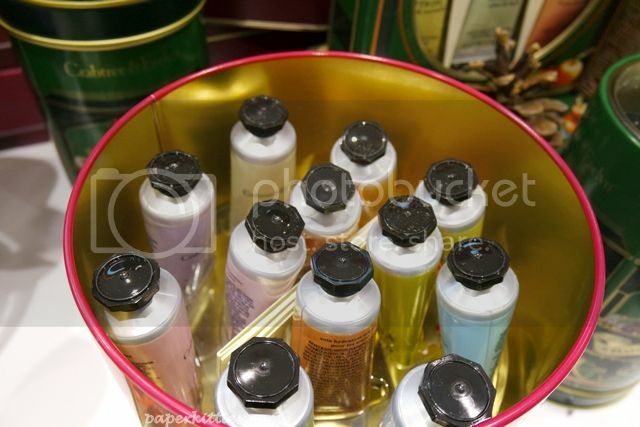 Musical tin cans seem to be a hot favorite this year, and Crabtree & Evelyn has several for you to choose; from Hand Therapy Musical Tin in Scentsational Six SGD$58 and Big Top Twelve (as seen above) SGD$83, to Biscuit Assortment SGD$75 and Spiced Fudge in a Musical Tin SGD$40! 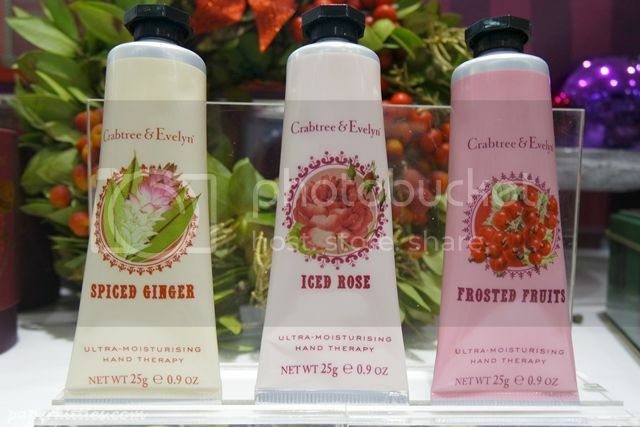 ♥ Limited Edition Hand Therapy Trio SGD$33 – A hot favorite that was sold out on the day of the media preview, it’s not hard to understand why! 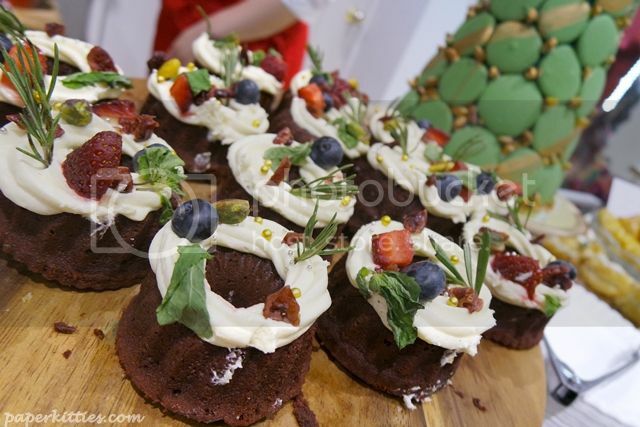 My personal favorite is the Frosted Fruit by the way!